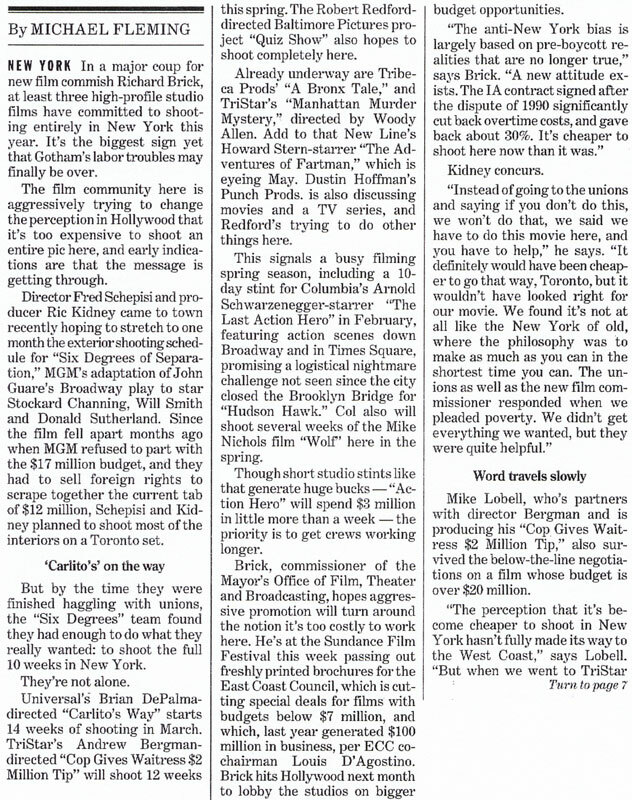 Kiarostami to attend Kustendorf – Variety, Jan. 4, 2011. 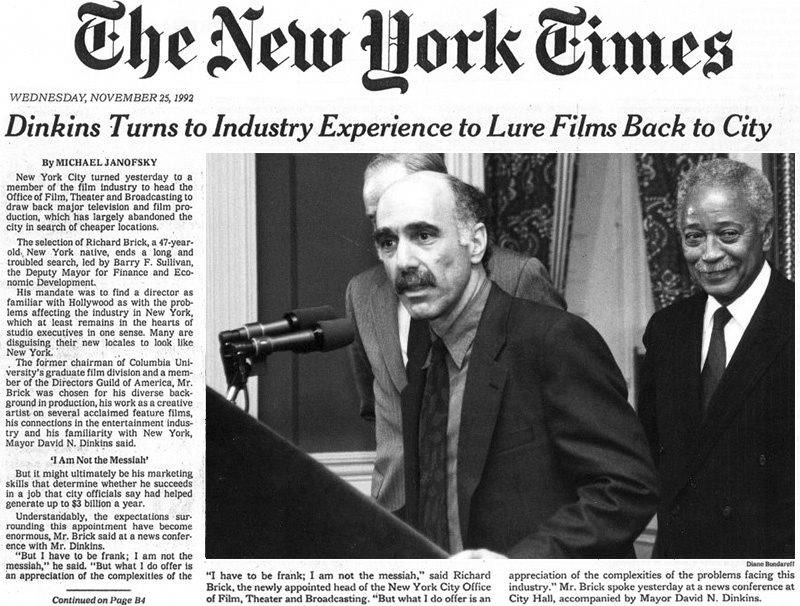 The jury — Vincent Maraval, founder of distrib Wild Bunch; producer and Columbia U. professor Richard Brick; and film theorist Iva Draskic Vicanovic …. 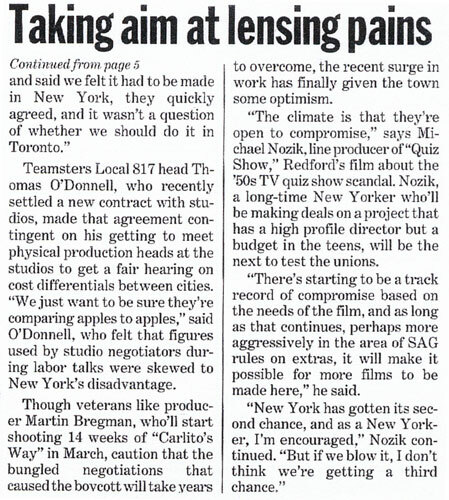 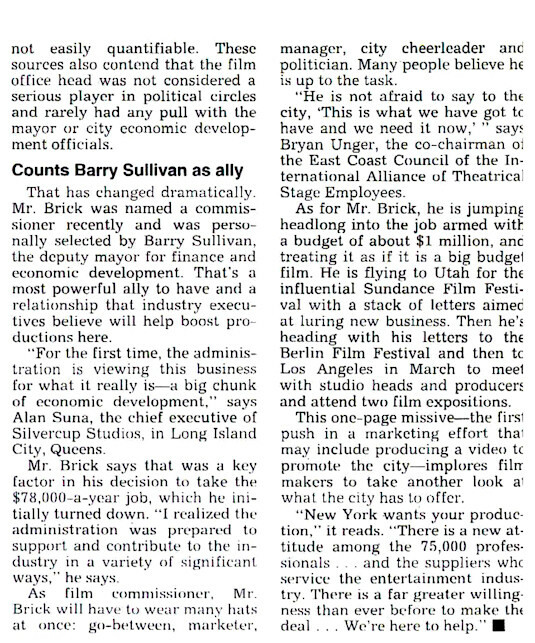 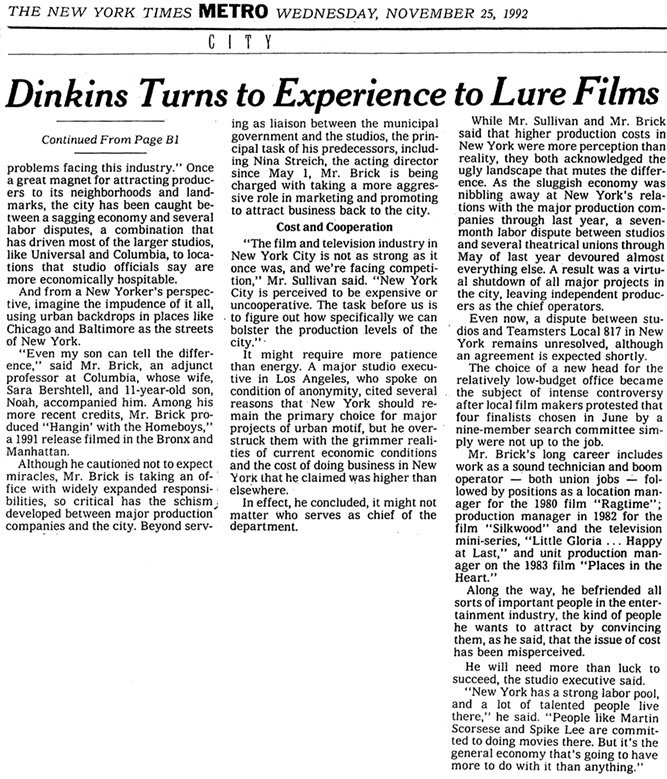 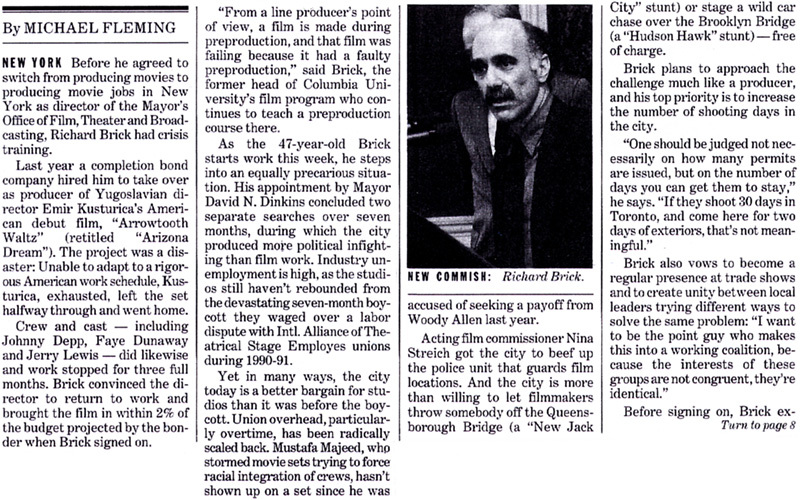 “Dinkins Turns to Industry Experience to Lure Films Back to City,” New York Times, November 25, 1992. 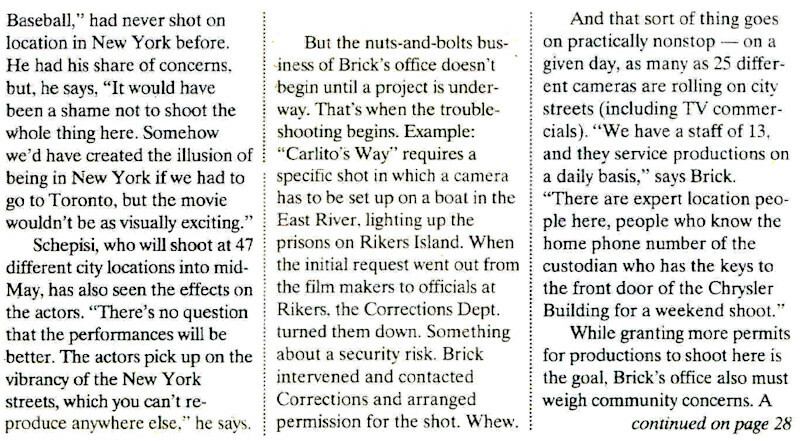 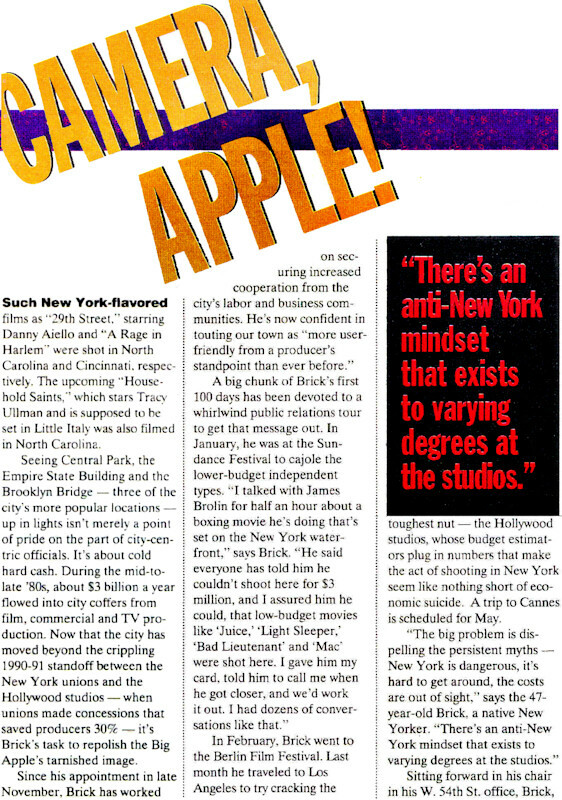 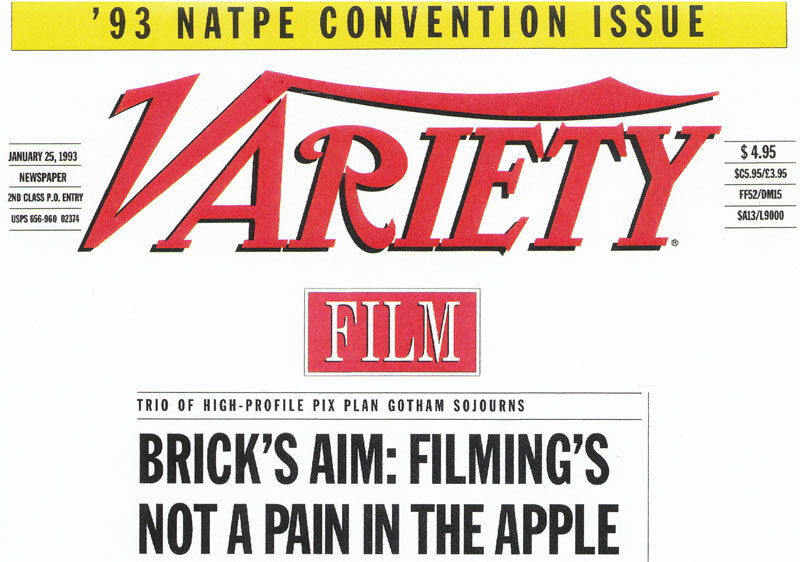 “Brick’s Aim: Filming’s Not a Pain in the Apple,” Variety, January 25, 1993. 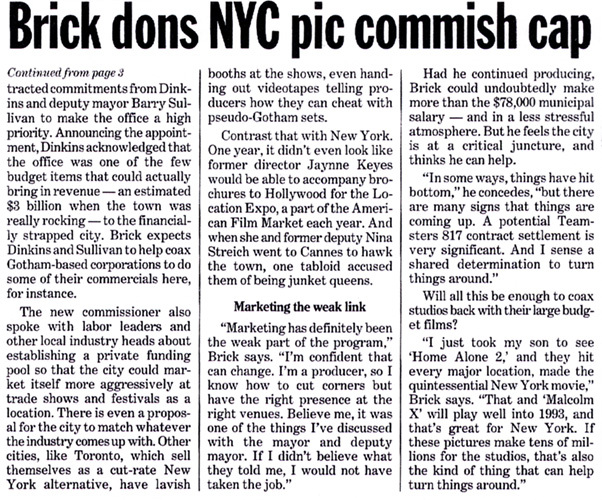 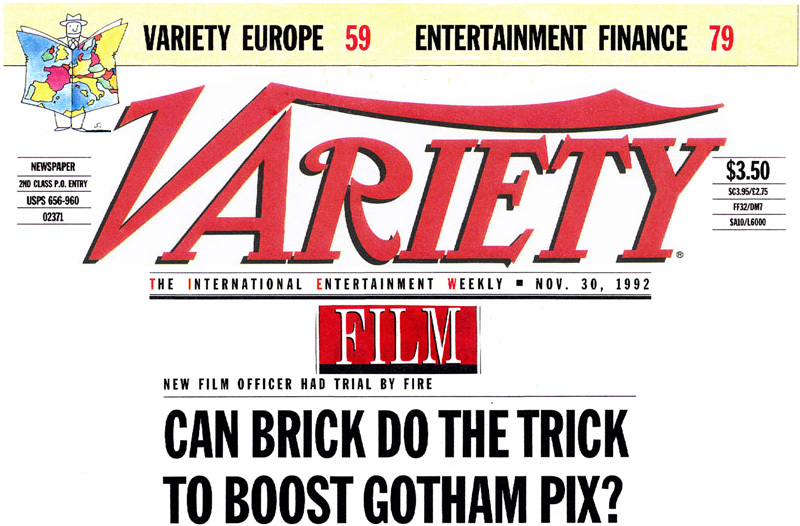 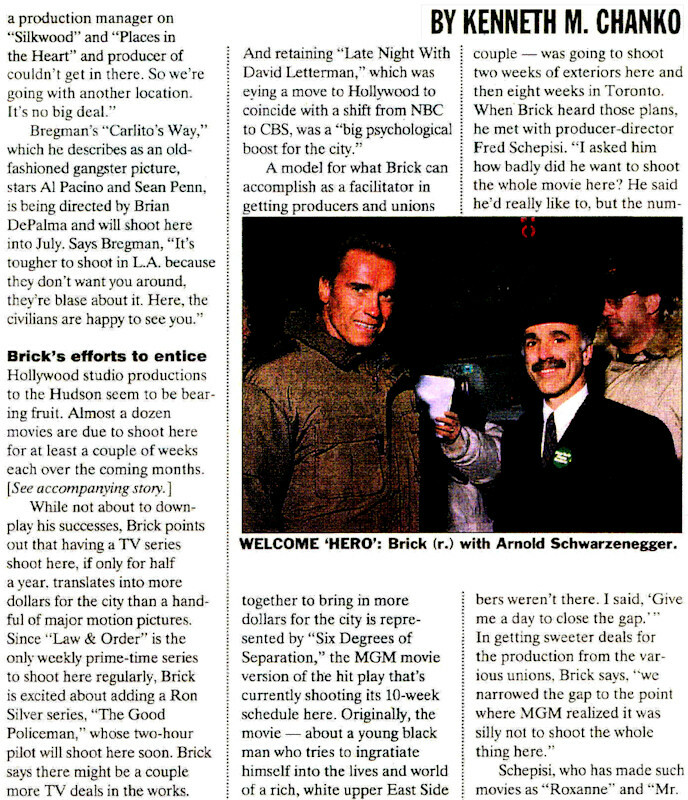 “Can Brick Do the Trick to Boost Gotham Pix?” Variety, November 30, 1992. 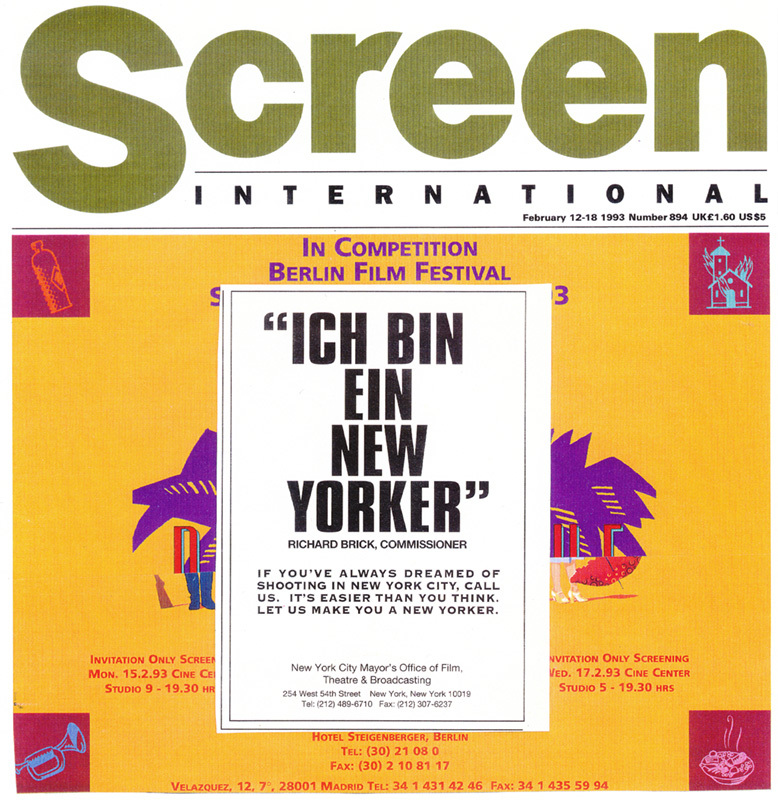 “Ich bin ein New Yorker” ad in the Berlin Film Festival edition of the magazine Screen International, February 12-18, 1993. 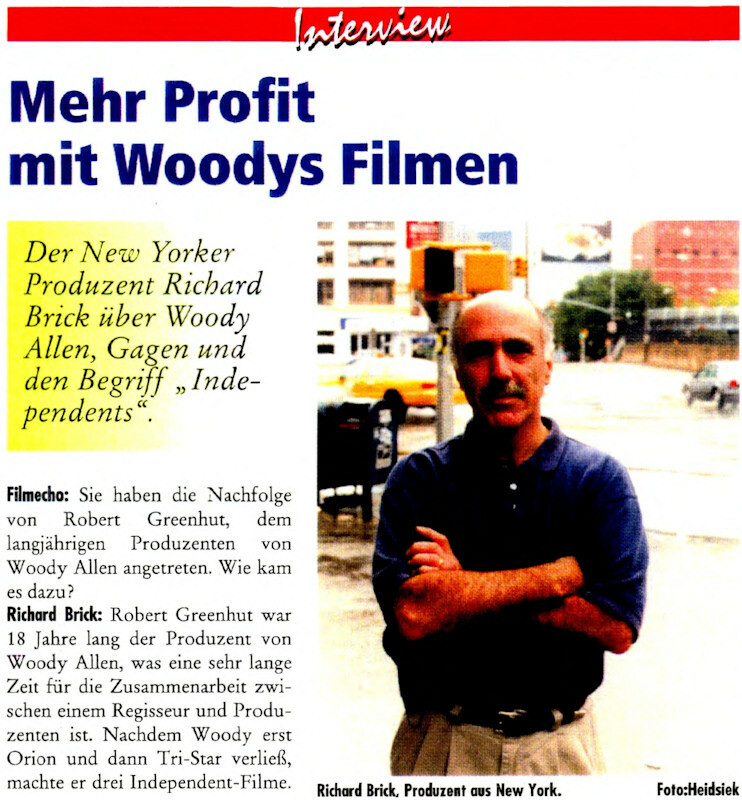 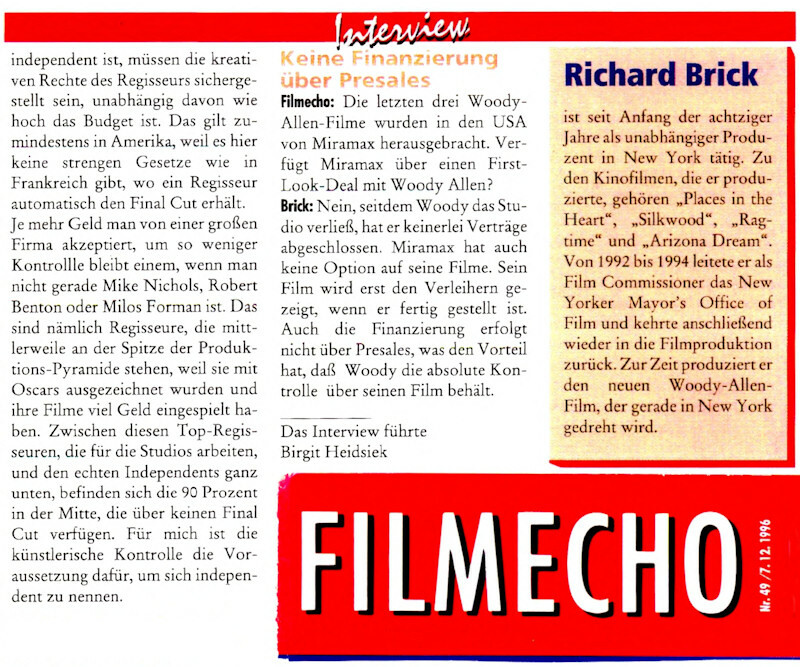 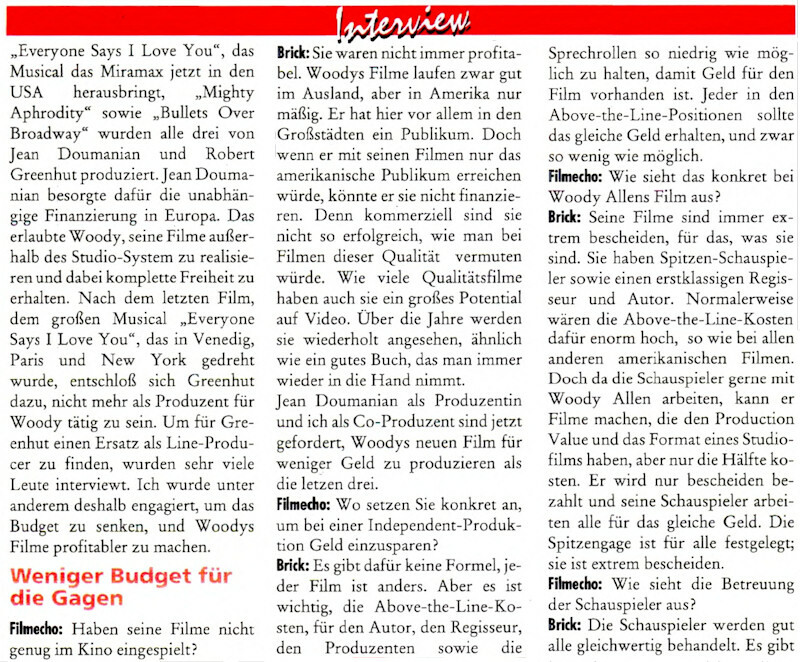 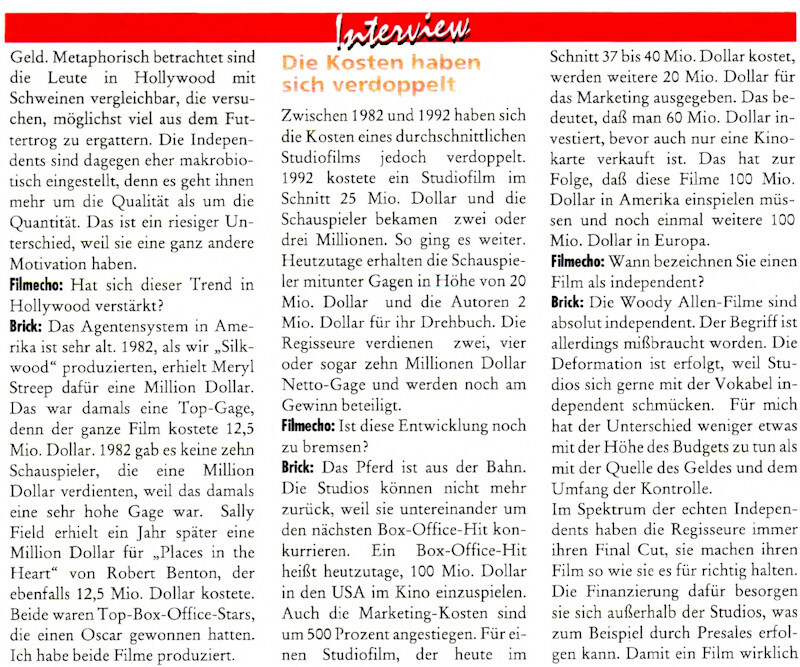 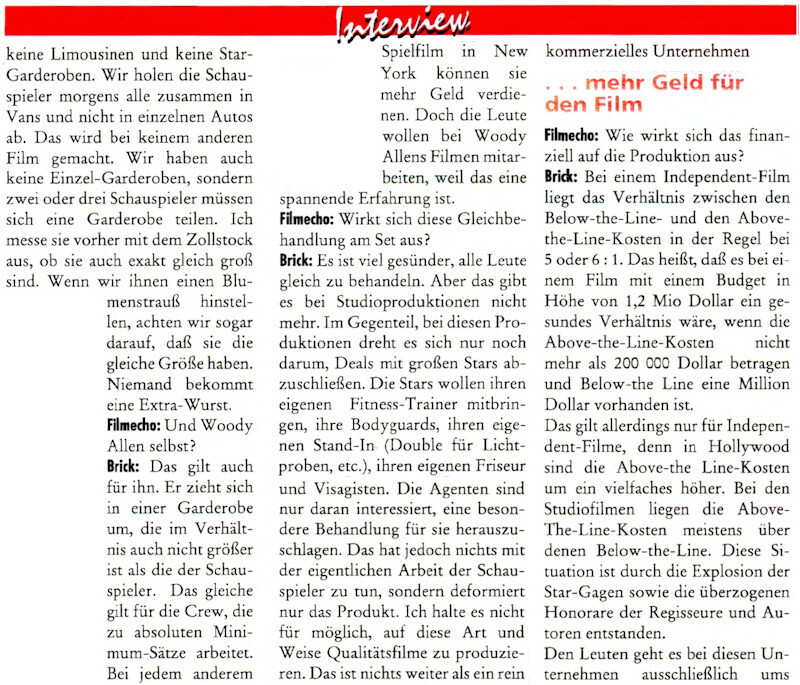 “Interview: Mehr Profit mit Woody Filmen,” Filmecho/Filmwoche, December 7, 1996. 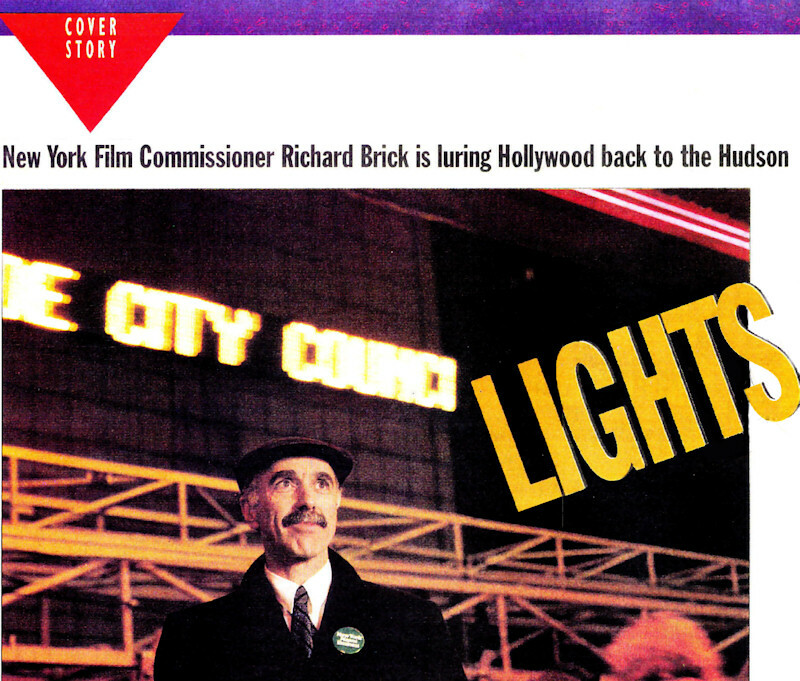 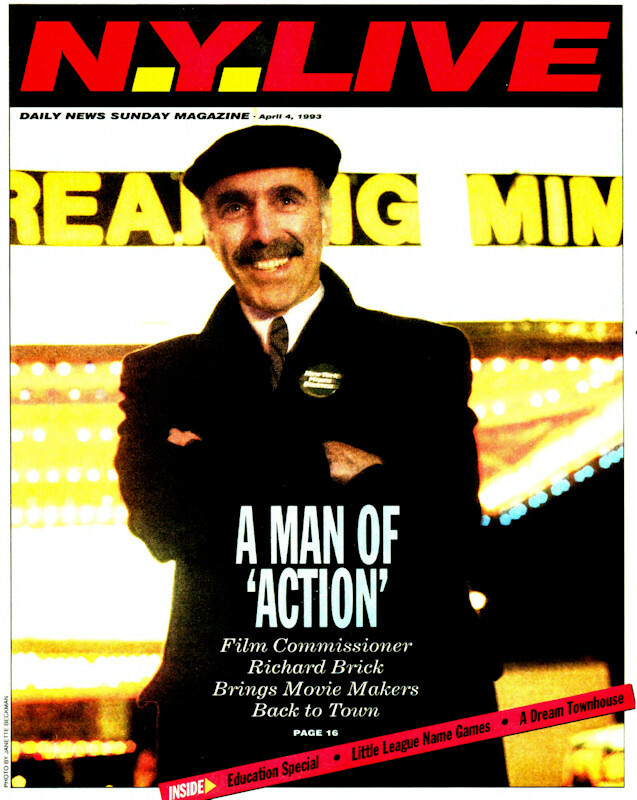 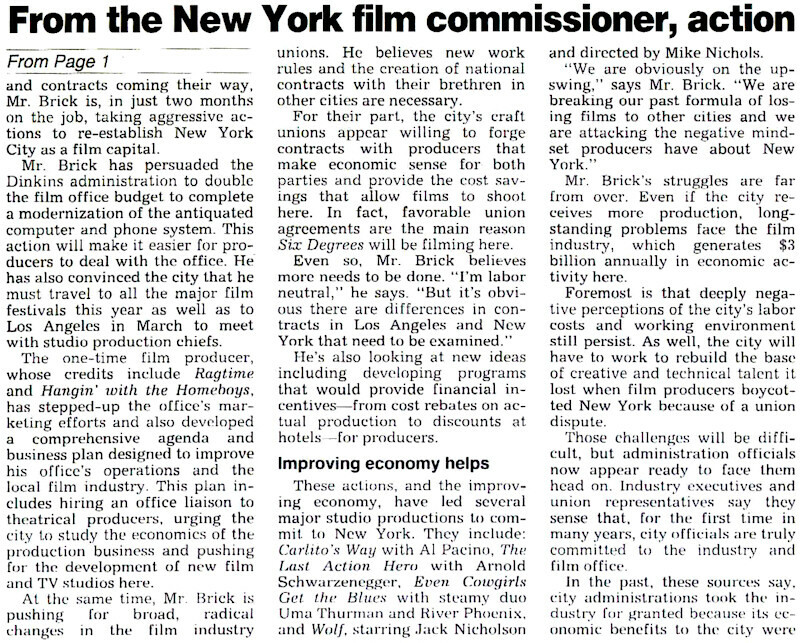 “Man of Action: New York Film Commissioner Richard Brick is luring Hollywood back to the Hudson,” New York Daily News N.Y. Live Sunday Magazine, April 4, 1993. 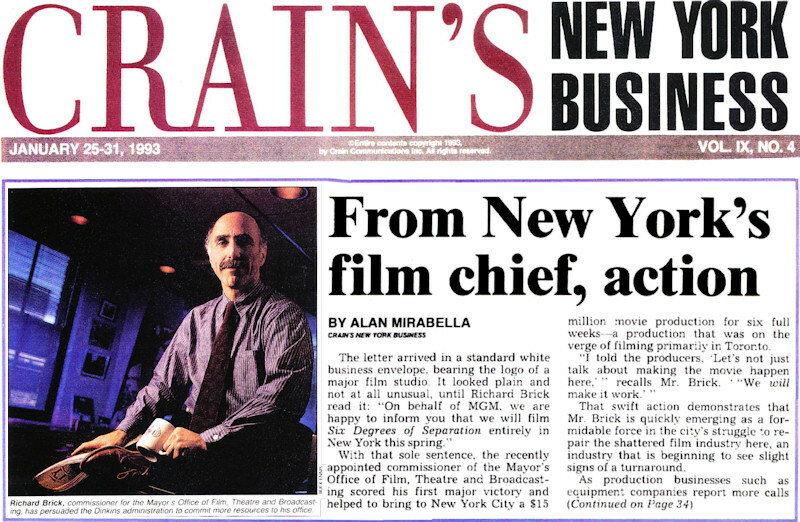 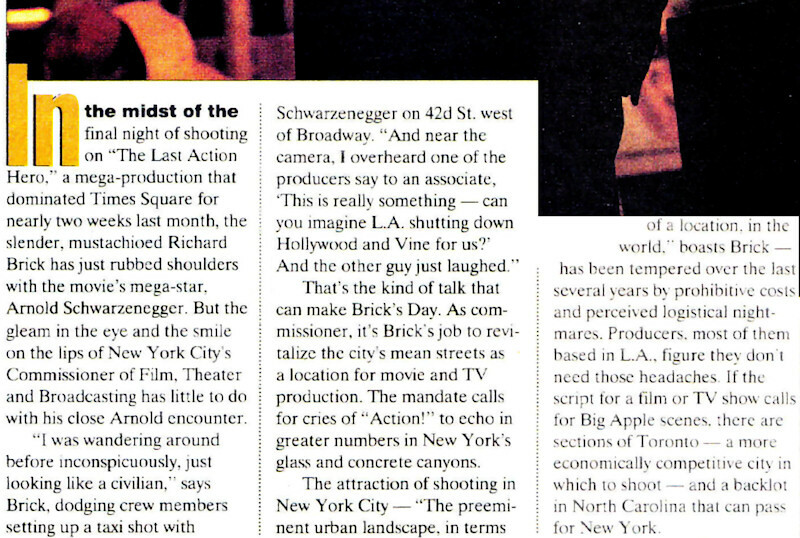 “From New York’s film chief, action,” Crain’s New York Business, January 25-31, 1993. 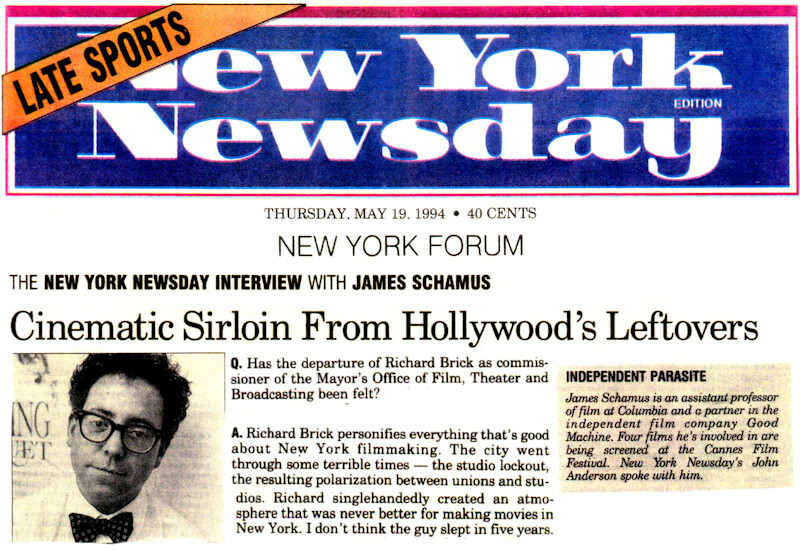 “Cinematic Sirloin From Hollywood’s Leftovers: The New York Newsday Interview with James Schamus,” New York Newsday, May 19, 1994.